FindItMore | For every organisation, there are a few basic things that need to be in order for it to function. Having some basic systems in place is necessary for the smooth everyday functioning. Once you have your office space setup, you need to fill it up with employees. Identification is a necessary part of any organisation. No matter how big or small the organisation is, having ID cards is a necessary part of setting up the organisation. There are many different kinds of ID cards that you can get for your office. The best kind of ID card that you can get for your office is a reusable one. These ID cards simply state what is the role of the cardholder in the office space. Here are a few reasons why you should choose to have reusable identification badges for your organisation. One of the primary reasons you need to have identification badges is to tell your employees apart from visitors. Have a visitor policy in place. 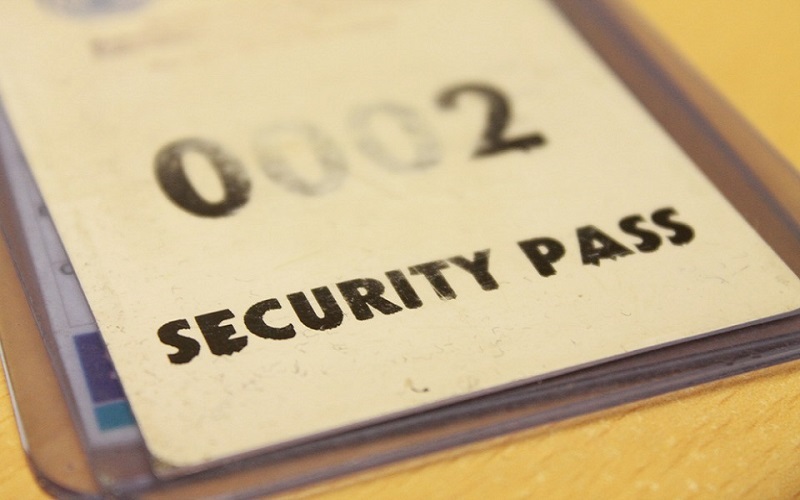 If you allow visitors then have a separate set of identification badges for your employees and visitors. All organisations need to have ID badges for their employees. By having reusable employee ID badges, you do not have to keep giving them new ones every few years. Have only badge numbers that are supported by a database. A new employee can be given the same badge as an old employee simply by updating their personal details in the database. All organisations need to keep their office space secure. Simply hiring security personnel is not enough. Reusable identity cards for visitors help keep your office safe. Only after taking down the details of the visitor the security desk can hand over the identity card to the visitor. This helps keep a record of the details of all visitors that come to the workspace. When and if there is any need to pull up the details of the visitor, the security system can provide it. Identification cards help monitor the entry, exit and movements of every individual in the workspace. For employees, you can have a system where they need to swipe their card to log their entry and exit. For visitors, the same system can be used to monitor the entry and exit. All of the workspaces may not be for the full access of everyone who enters the workspace. The best way to restrict access is by having access points that grant access to specific cardholders. For granting access all an automated system needs to be set up to read chips or barcodes that the cards come with. Reusable cards are perfect for this since the information of the cardholder is not necessary. Reusable ID cards have very little information on them. They need to have only the details of the organisation and the role of the cardholder. Less printed words mean that there is less chance of the words getting scraped off. The reusable cards that do get old and decrepit can easily be replaced by the ones that are kept in stock. To have a good number of reusable ID cards in stock you can buy them in bulk. The cheapest and easiest option of buying ID cards is buying bulk ID badges online. Choose the design, input the number of IDs you need, make the payment and wait for the delivery. Buying in bulk is highly advantageous for reusable ID cards since you can keep replacing old ones when they get spoiled. Before you place a bulk order, you need to select a design. Since the reusable ID cards need not have information about individuals, you need to only select a single simple design. This reduces the effort that it takes to get individual ID cards for the whole organisation. Since the ID card is not thrown away once the visitor or employee leaves the work-space, it is highly Eco-friendly. Even though the cards are made of plastic, they are durable and can be passed from one person to another. Once the cards get a little older, you can choose to recycle them as well. Have an eco-friendly organisation by doing something as simple as getting reusable ID cards. PREVIOUS POST Previous post: How A Remote DBA Expert Can Guide You For Programming Analysis of Data Using SQL?